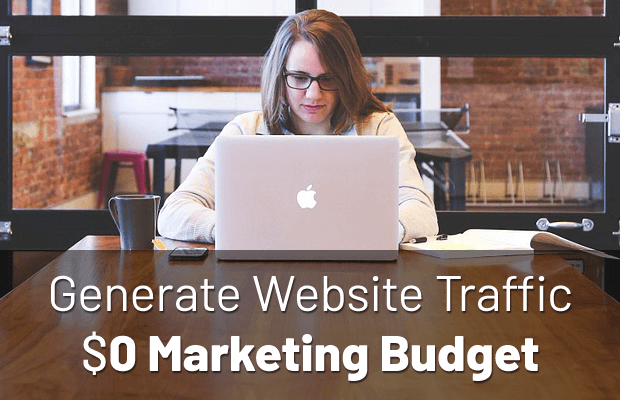 How to Generate Website Traffic with $0 Marketing Budget? Getting a business up and running is not easy, no matter how motivated you are. The higher your budget, the easier it is to give your website the kick start it needs. Starting out with a 0$ marketing budget doesn’t make your job easier by one bit. It also involves a risk for your business. If there is no traffic, there are no leads and conversions. If there are no sales, there is no business. So, establishing how you will consistently generate traffic and the number of page views you want is one of your most important tasks. You should be a master at it. Yet it’s rarely just about how much money you have. Robust knowledge trumps everything and you can build that up as you go. Time is money and it will take time to build your traffic with zero investment, but it will lead you to learn plenty of useful skills that will pay off greatly down the road. There is no get rich quick scheme you can follow, so it’s best to jump into it right away. People sometimes struggle for a few years before they lead their business to reach the desired outcome. It is a process of learning and it takes trials and errors. But ultimately, going at it with a much more practical frame of mind and knowing what you are doing will spare you a lot of time and effort. You should be working hard and smart at the same time. As a fellow blogger and website owner, I’m here to help you out with getting your site the traffic spikes it deserves. I’m going to share the numerous steps on how you can build your website’s traffic from scratch and have a foundation that you can build your business on. Here you will find the foundations of a robust online marketing plan, along with the tactics and the concepts you need to learn more about down the road. I will start from the core of the strategy and move out towards its individual parts. Once that’s done, I’ll also share other useful tricks and tips that further help you boost your efforts. If you’re a beginner, implementing what you learn in this article will help your process by a great deal. So without further ado, let’s get straight down to it! At its core, online marketing requires more work than financial investment. A set of premium tools, paid advertisement and paid traffic will give it a turbo boost, but first, the right methods and strategies have to be in place for it to succeed. There are a few basic building blocks in today’s online marketing which you already have free access to and the tools you need. This is the first phase of your zero budget marketing plan. It lays the foundation for the waves of traffic you’re looking to build. The only reason people care about a website is because the content and information it shares. In order to succeed with your website, you’ll have to publish the right kind of content. Content that people actually care about. What kind of content is that, you ask? It’s the type that generates traffic, leads and sweet-sweet sales. Which is everything your business needs right now. This kind of content gets targeted traffic from Google and other search engines. It also establishes you as an expert and someone who people can trust within your field. Your website’s content has to be optimized for it to stay afloat on consistent waves of traffic. Otherwise it will be like sailing inside a leaking boat. I’ll tell you what you need to know and do in the sections below. This is the second phase. You can only follow through with it successfully if your website is ready to receive the targeted traffic and make use of it. It’s time to start driving traffic to it. For this, you can use a number of unique social media marketing strategies that I’ll talk about in a bit. There are a few rules you have to learn to make your chosen social media platforms into your own robust marketing machines. Using social media is only a part of your strategy. It’s like waving your flag to let people know about you and come see what you have going on. Once that’s done, you’ll have to get your amazing content in front of a fresh audience. You do that by reaching out to others in you niche and offering them a piece of it. It is called guest posting. You can reach out to other websites within your niche or industry and have them publish one of your articles. Have no worry though, you can do this pretty well even if you don’t have time to write guest post after guest post. I’ll go through each part of properly optimizing your website’s content and understanding how you gain more traffic through it. To know where you have to go, you first have to know where you are. Before you start working on building more traffic for your website, you’ll have to know your current statistics. If you don’t yet know how to, then now is the time to start. Your first step is to set up Google Analytics Tracking for your website. This way, you can constantly monitor whether what you’re doing on your site is helping you build traffic or you need to change something. Once you have your Google Analytics Tracking set up, you should wait a few days so that it collects enough data and see your report. Since you’ll be testing a lot of traffic generation strategies, you’ll constantly have to keep your eyes on these. Make sure you open Google Analytics at least three times a week. That way, you’ll stay in tune with what’s happening on the website and make changes on the fly if you need to. The Goal You Want To Achieve – It can be more traffic, more leads and whatever factor you base your website’s success on. If you can, break them down to things like social media shares, more attention and so on. You’ll have to adopt your content marketing strategy to your goals. Define Your Audience – Who is your content created for? Who are you trying to reach? Create and ideal customer persona, who will gladly take the time to look at your content and eventually buy from you. Define their demographics. Use anything you can think of, such as their gender, their yearly salary, their religion, their problems, desires, goals, fears and even their thoughts and emotions. What Kind Of Value Your Content Will Bring To Said Audience – Defining your content’s unique value is the most important. It is the sweet fruit that your audience will extract out of it. It is also what differentiates you from your competitors. Set Your Posting Schedule – It’s not just about posting as many times as you can. You could actually lose followers to being spammy. Instead, start posting at peak times when it is most likely that your audience and potential new followers are scrolling through their social media feeds. Growing Your Reach – Once you have a steady stream of content, how will you get it in front of more eyes? How will you grow you social media page. Now, as I said, this is only the spine of your content marketing strategy. It isn’t a full-fledged content marketing strategy, so you should definitely do more research based on the keywords you got here! No shocking mystery uncovered here. Both Google and people like a site much better that gets frequent updates. You have to post at least 2 times a week to move your forward at a faster pace. This might seem trivial but it’s vital. Keep producing awesome content and post it frequently. Content is king when it comes to SEO. If you keep producing good content and frequently update your site, you’ll not only have a loyal audience, but search engines will be on your side as well. Writing compelling headlines is one of the subtle arts of marketing, SEO and writing in general. Your headlines are your first and often your last impressions, so make them count. If you want people to read your content, you’ll have to make your headlines irresistible. They have to make people feel like they are losing an opportunity by not clicking and gaining one reading your post. You have to optimize your headlines with two specific targets in mind: Search Traffic and Social Media Traffic. This means that your headlines should have the right keywords you’re looking to optimize for and they should be irresistible for social media users. For Keywords and SEO – Use Google’s Keyword Planner and other SEO tools. There’s Neil Patel’s free Ubersuggest that you should try and MOZ’s Keyword Explorer is an outstanding option as well. For Attractive Headlines – You can use two a free tools called the Headline Analyzer and the Emotional Marketing Value Headline Analyzer. These help you examine your headlines and make improvements. The goal of every headline is to spark curiosity in the reader. It should also tell them what value they are going to receive by reading your post. If they are interested in starting an online business, they are looking for a guide that helps them through the first steps. Maybe for a post like, “How You Can Quit Your Job Right Away and Become an Online Entrepreneur. Your page’s <title> tags must include the keywords you’re optimizing for, preferably within the first 10 characters. Your content should always be improved, because it is the foundation that your marketing efforts stand upon. If you’re not much of a writer, than by all means seek out a course and educate yourself. For example, Udemy’s “Ninja Writing: The Four Levels of Writing Mastery” course has helped me improve on my writing. You can also make it much better by following these few rules. Write In an Inverted Pyramid Style – Always start your post with the most important piece of information you’re looking to convey. Think about how you would describe what your post is about in 2-3 sentences. This will get your reader hooked, because he/she got a valuable piece of information right away. Follow up by teasing them with the benefits of your article and start outlining the facts as you move on with your writing. The inverted pyramid style is definitely something to look up if you want to improve your content. Use Short Sentences and Paragraphs – As you probably figured out, internet users have a short attention span. They don’t read long paragraphs and sentences and will shy away from your article if you make them do it. So make your sentences and paragraphs as short and as to straight the point as possible. We humans are visual creatures, which is why we process visual information a lot faster. Especially when it comes to deciding whether what we see is compelling or not. Also, having a feature image is what makes your posts stand out and sharable on social media. People are much more interested by posts that have a compelling image, than any of their friend’s feeds. If you need high quality images on a regular basis, you don’t have to spend hundreds of dollars on them. You can use images from royalty-free picture sharing sites such as Pixabay or Pexels. Important: Remember to add alt descriptions within your alt tags or within your CMS’s interface. It’s important from a SEO standpoint. Internal linking means linking your own pages together by adding links of another page into your content. If you’re writing about a topic that’s related to another post you wrote earlier, than it’s a good opportunity to do internal linking. These links help your readers navigate your website and explore way more of your content than they normally would. 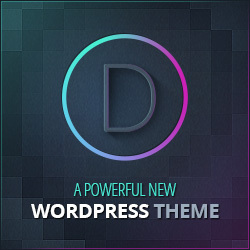 It also helps your pages rank way better because you have they define the architecture and hierarchy of your website. Publish More Content – The most straightforward part. To have more content to link to, you’ll have to have more content. It’s that straight forward. Write The Proper Anchor Text – Embed your links in to the proper anchor text. This means if you’re writing about becoming an entrepreneur, you can embed a link to a post about making creating a business idea and add your chosen link to it. Make Sure It’s Relevant – Don’t link to a post like „By the way do you know anything about birds? Read this post!”. Make sure that you’re linking to content that adds value the reader’s current experience. Don’t Link Too Much – You can have about 5-10 internal links within a 1000 word post, which is more than enough. But if you decide to link more, you’ll definitely overdo it. Optimize Your Posts According To the Platform You Use – It’s only common sense that you have to ensure your posts appear in the best possible way on your social media channel. You’ll have to make it compelling and sharable. You should do research for each social media platform you’re looking to use. Write an 80+ words long description to each of your posts to maximize engagement. Write a good description of the link below the photo. Have a Posting Schedule – Posting on the same schedule every day can be greatly beneficial if you figured out when is most of your audience online. You might want to post once in the morning and in the evening. You can set a posting schedule with an awesome social media management tool like Buffer. A schedule will keep you organized and consistent at all times. Especially if you automatize the process with a good tool. Keep a close eye on after which post does someone message you and after how much time. Check out this post to see the peak hours for each social media platform. Add Social Sharing Buttons To Your Site – If you’re using WordPress or another popular CMS, you can easily add social sharing buttons through a plugin. Having social sharing buttons will make your readers lives easier and get you more visitors. Discover Other Platform as Well – Facebook, Twitter, Instagram and Pinterest aren’t the only platforms you can use to market your site. There’s Quora and Reddit too. Both are huge and have incredible engagement. Find relevant questions on Quora and post strong answers to them. Find relevant subreddits with your keywords and start promoting your content there. Reaching out to influencers within your niche and getting backlinks from them is an important part of getting a consistent flow of traffic. Even if your website is optimized and you’re active on social media, you still have to engage with others in your niche and industry. Get your articles republished on large publications, to not have to write new guest posts over and over again. These large publications will get you exposure and they also have a high ranking on Google which is very good for your site. But reaching out to influencers and finding out what they are up to is something you can’t avoid if you want your site to be successful. It will get you huge amounts of traffic in the long term. Here are the things you have to do. Your content first has to be good enough to appeal to influential bloggers and webmasters, because your audience won’t give you backlinks. Also, nobody in your audience runs a website within your niche! One of the best ways to start your outreach process is by writing comments on blogs similar to yours. You’re essentially working to get your name and your website in front of people who are already interested in the same topic. If you know a few blogs in your niche, than start commenting and sharing links to your article as a useful resource. If you don’t know too many blogs in your niche or would like to know more, use the amazing app called Tiberr. It’s a great content marketing tool that helps you reach out to influencers and their audience. That way, you can amplify your content a lot easier than ever before. Guest posting is one of the most popular and most efficient way to gain more traffic and backlinks for your website. You can either write a new guest post if the blog owner requires it or republish an already existing one. You’ll have to email other website owners and do your best to convince them that giving you an opportunity for a guest post is a good idea. Be vary that this might take a lot of time and the average success rate is 1/10, but anything can happen. Especially if you do the right things. Here’s a simple pattern you can follow to nail your outreach and get blog owners to accept your guest posts. Read some of their articles and write about 10-15 comments. That way, you can familiarize yourself with them and they’ll already know who you are once you reach out. This phase can take a week, or a month, but it’s a great way to soften the soil you’re going to plant into. Go to BuzzSumo and copy their URL. Take a look at the top 4 articles you got. Bounce around a few ideas based on these and create 4 unique ideas that are somewhat related to what these posts talk about. Write an email, starting with your introduction. Tell them why you love their work and what you have learnt or implemented from one of their blog posts. Follow up by telling them that you have 4 different ideas that their audience would greatly benefit from, based on their most popular posts. Assuming that you already read their posts and you have come up with a couple of unique ideas that would actually work well. Once you’ve outlined your ideas, tell them that you know that they are really busy. So you’ll write any of them into a word document and send it to them and that you’ll also take care of the editing as well. That way, it’s really easy for them to post it. Finish up by stating that your post will be engaging through every sentence and that their audience will definitely like it. Also, end the email with the question „What do you think?”. Finally, sign off with your name and your website’s URL. That’s it. There really is no magic to it, just some simple things you can do to improve your website and how you reach out to a fresh audience. So, if you have the drive and motivation, than jump right into it! I hope you have enjoyed reading through this article and that we’ll see you again soon in the next one! Can You Really Get More Clients With YouTube? 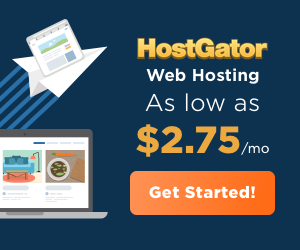 How to Migrate Your Website to Another CMS? How To Build a Professional Responsive Website?